When you are preparing to build a new home or structure, but are met with unleveled land, it can make your project a lot more complicated. Instead of trying to tackle these obstacles on your own, rely on the skilled hands of a land-clearing contractor in Ravena, NY, and the surrounding areas. 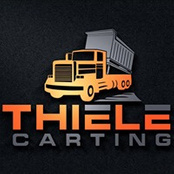 Thiele Carting and Plowing LLC provides land clearing services so that you can get back to your home addition project with a leveled foundation. Schedule land clearing services in Ravena, NY, Albany, NY, and the surrounding areas today.